As reported in 20Minuten & Winterthur's Der Landbote, building permission has been granted by the Winterthur City Council for a new sport centre building project, WinCity. The initiators of WinCity confirmed that the first stage of construction is fully financed and building is expected to begin adjacent to the Winterthur Ice-Hockey stadium in 2018. WinCity, which will include a complete ballsport's arena, will be the new home of the handball club, Pfadi Winterthur, but could offer other sports (including cricket) vital new infrastructure. 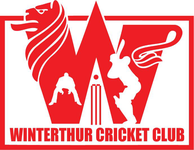 Alexander Mackay, vice-President of Winterthur Cricket Club & President of Cricket Switzerland, stated that it is unclear at present how this project will effect cricket. 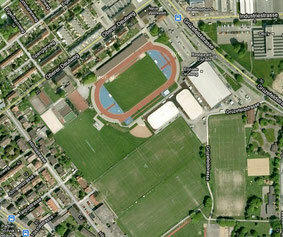 Winterthur will lose at least one football field. And the building & plant material during the construction will need to be stored near the site, possibly meaning the loss of a second. This could place Winterthur Sports Council under additional pressure to allocate the cricket field to other sports during the building phases, but assures the 100+ juniors and 200+ senior cricketers that cricket's future on Deutweg-Kreuzplatz has been affirmed by Winterthur Sports Council.